The following is a marketing campaign concept for season 3 of FX's Atlanta. The Atlanta Experience is a promotional music festival. 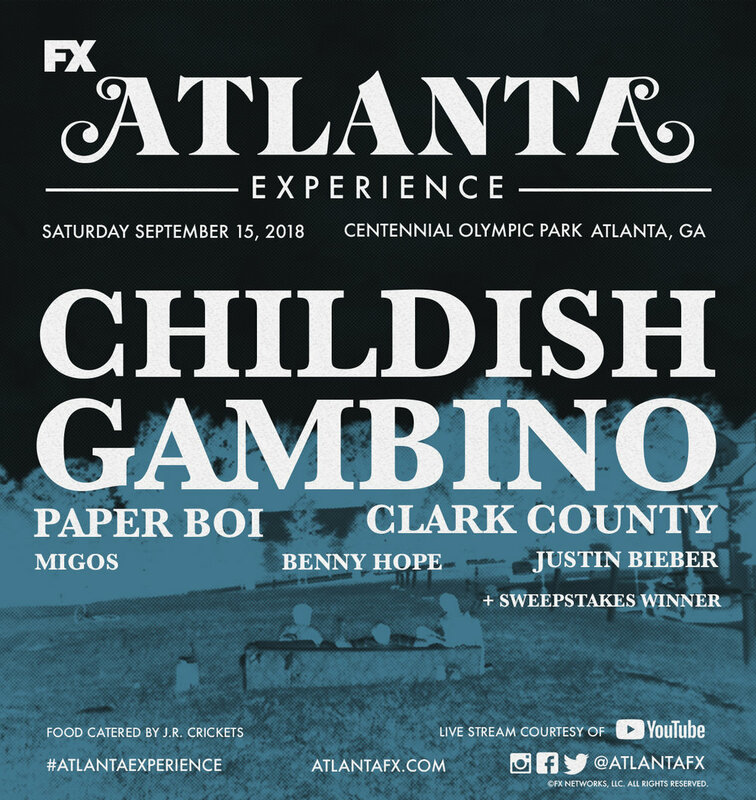 The festival would feature performances from the rappers and artists on the show, and would have catering from an Atlanta restaurant featured on the show. It gives fans of the show the opportunity to experience the show in real-life. Childish Gambino, who plays Earn in the show, will end the night as the headlining performer of the festival. To get some fan engagement before the event, a sweepstakes will be held to choose a fan who will be given the opportunity to perform at the festival. To participate, contestants can send videos to Atlanta's Instagram account and Atlanta will post the videos on their Instagram story. The winner will be determined by whoever receives the most 'thumbs up' votes. 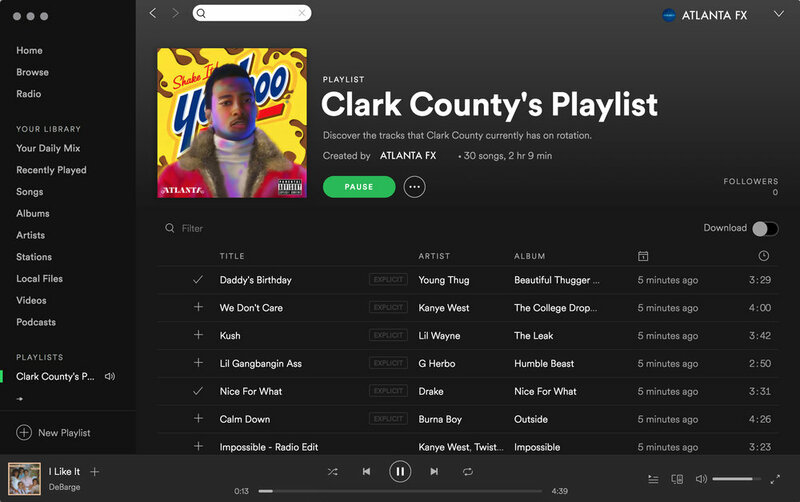 Another promotional device would be playlists on Atlanta's official Spotify 'created' by characters in the show. Exclusive merch only available at the event. 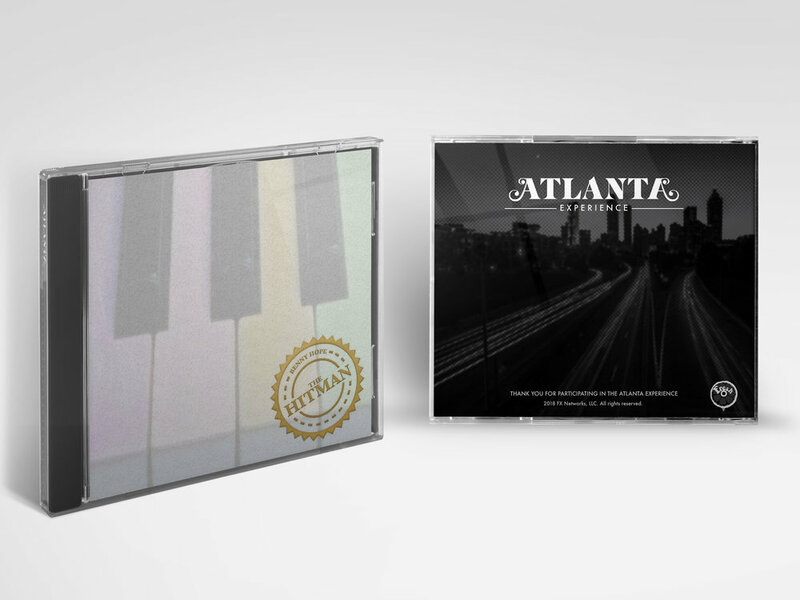 Compilation CDs with 5 special covers related to Atlanta. People outside of Atlanta will be able to catch the fun through a live stream on YouTube. To open up the promotion to those outside of the Atlanta area. 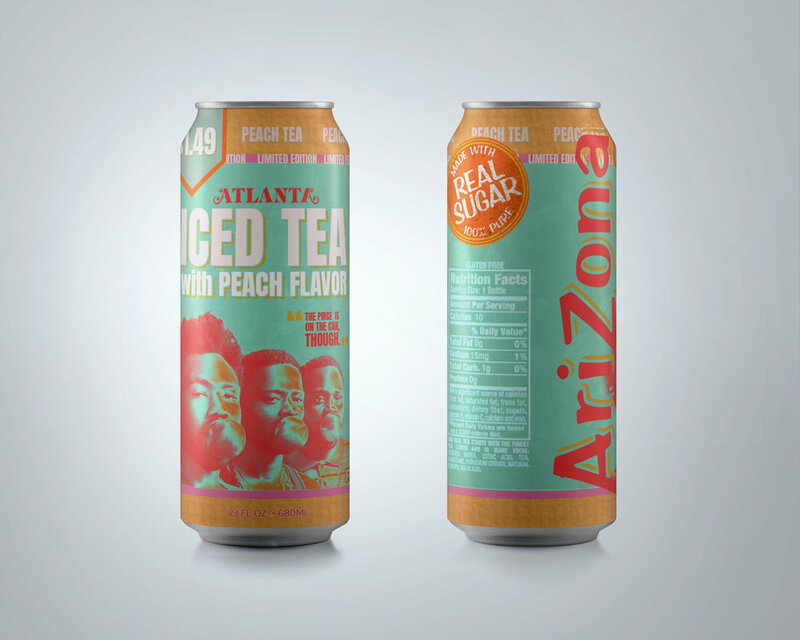 Limited edition Atlanta-themed snacks will be available for purchase at participating 7/11 locations.